When I received this marvelous photo from Photographer Jennygg, I just smiled. BIG! 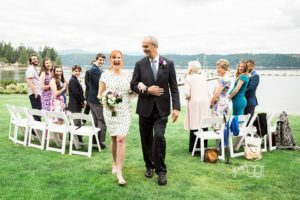 It was happiness for me to make a June road trip to the lovely Alderbrook Resort on Hood Canal to share in Martin and Helen’s wedding day. These two love birds share a most delightful love story and this, and so much more, we celebrated with the gift of a personalized ceremony on a lovely June Sunday afternoon. What I appreciate and cherish about Martin and Helen is their commitment, not only to their loving relationship but to the children of their union. A wedding day is that much more special when it truly honors the children of a marriage and the honesty that goes with all of the ups and downs of a blended family.